The first major institutional exhibition of the sculptor and performance-based artist Senga Nengudi outside the United States also presents a rare opportunity to see work by an individual senior African American artist in Britain. The show, at the Henry Moore Institute, Leeds,follows a spate of group exhibitions involving Nengudi held mainly in American museums, which over the past eight years or so have sought to acknowledge more widely the significance of her influential practice. In 2014 the artist had two retrospectives in Denver, where she lives: Senga Nengudi: The Material Body at the Museum of Contemporary Art and Senga Nengudi: The Performing Body at RedLine Contemporary Art Center. In 2017 Nengudi was also one of sixty African American artists included in Soul of a Nation: Art in the Age of Black Power at Tate Modern, London. The roughly dozen works included in this exhibition represent a relatively small portion of a prolific career that spans four decades, from the 1960s to the present. 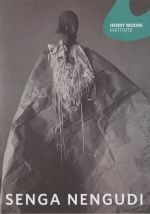 Nevertheless, the selection does reflect the scope, originality and longevity of Nengudi’s practice. A series of black-and-white photographs documenting Nengudi’s signature sculpture-come-performance works from the late 1970s aptly open the show. The images depict the artist performing a series of carefully orchestrated floor-based physical manoeuvres while harnessed to a web-like network of women’s tights splayed and tacked across a white wall. Nengudi attributes the genesis of these important works to the physical exertions experienced in motherhood, when the body is pushed and pulled to its limits. Untitled (R.S.V.P.) Untitled R.S.V.P., by Senga Nengudi. 2013. Installation. and R.S.V.P. Reverie ‘D’ (2014) reprise elements of these early sculptures. In the former, five pairs of tights in different shades create a geometric composition. Each pair is individually tacked to the wall, with the legs stretched out taut to the floor. Laden with compacted sand, the bulbous shaped feet are stacked on top of each other. In R.S.V.P. Reverie ‘D’, rather than extending directly from wall to floor, two pairs of tights are stretched across the wall, creating a four-legged insect-like form, at one end of which a leg from another pair of tights drops down the wall onto the floor. The subtle interplay between material and form delicately entertains a variety of possible readings pertaining to space and gravity, the gendered body and genitalia.